A wonderful savory rice and beans side dish with bits of bacon and jalapeno! Goes great with beef, chicken, fish or pork! Today's recipe is a new family favorite! 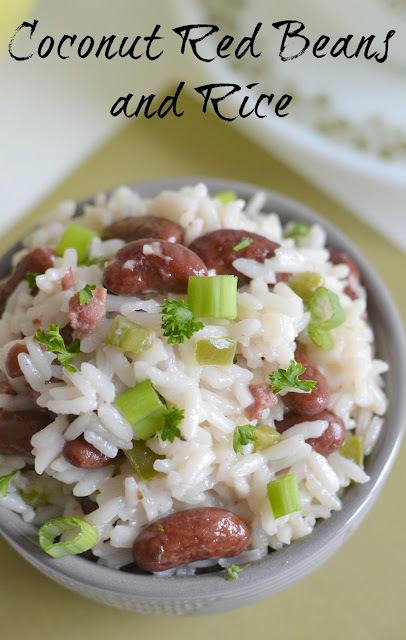 After posting so many different rice dishes over the years such as Riz Gras aka Fat Rice, Cheesy Spinach Rice and Orzo, Buttery Lemon Garlic Rice, or even the Blueberry and Wild Rice Breakfast Bowl, it's great when I make a new one to add to the favorites list! It's so good, we actually made it twice within a few days. Last Sunday we made it with roasted chicken for Sunday dinner and on Tuesday we made it with fish and shrimp tacos! 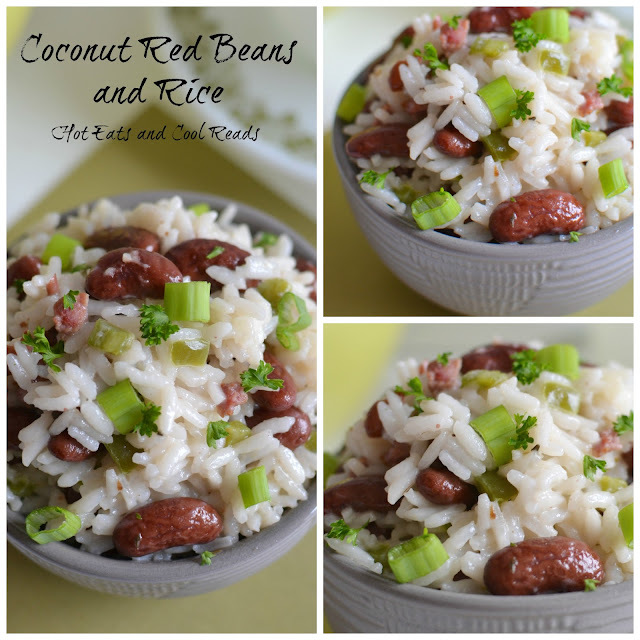 This Coconut Red Beans and Rice is versatile, and can be served with just about anything! Even though it has jalapeno, it's not spicy at all if you remove the ribs and seeds. I remove them because I'm a wimp when it comes to heat, but would be delicious either way! The rice is creamy from the unsweetened coconut milk, and is just as good re-heated for lunch leftovers the next day. The bacon adds a bit of smokiness, and the green onions sprinkled on top adds a great freshness and texture! It's been quite awhile since I last posted any recipes. Almost a month! 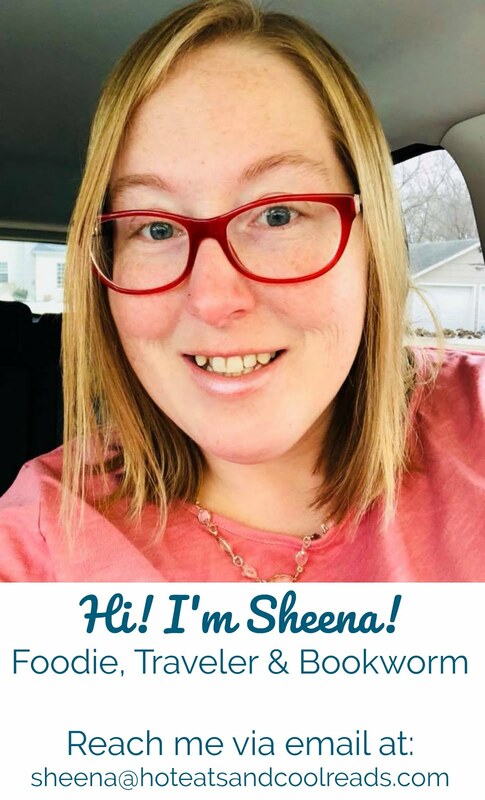 Last weekend I made it my mission to hang out in the kitchen and cook, and actually got 5 new recipes made to share with all of you! I'm also super excited that now with daylight savings time kicked in, I can cook more often since it stays light out SO much later! That's the dilemma with food blogging. Photos turn out the best with natural sunlight and since I work all day that really only leaves me the weekend to make the blog recipes. I promise it's worth the wait and you're gonna love this one! Stay tuned for some more great recipes coming within the next couple weeks, including the Best Ever Breakfast Strawberry Fruit Salad! Perfect for Easter brunch, or any spring or summer breakfast! In a medium saucepan, brown bacon over medium heat, stirring often until crispy. Add garlic, jalapeno, thyme and salt. Cook for 1 minute. Add coconut milk, and water, bring to a boil. 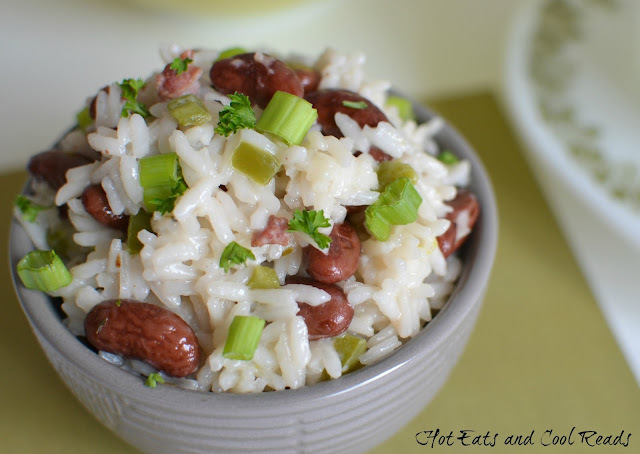 Stir in beans and rice. 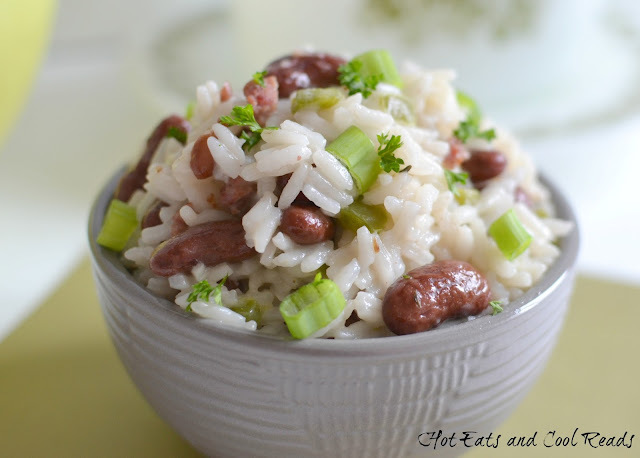 Cover, reduce heat and simmer until rice is tender and liquid is absorbed, about 20 minutes. Remove from heat, sprinkle with green onions and serve! The recipe looks super easy and yummy ! I love to cook rice every other day. the ingredients are also cheap so i will definitely try this soon hope it turns out good. I like savory more than sweet. Thats why I'm always in search for recipes like these. It looks delicious in pictures. I'll try this for sure!